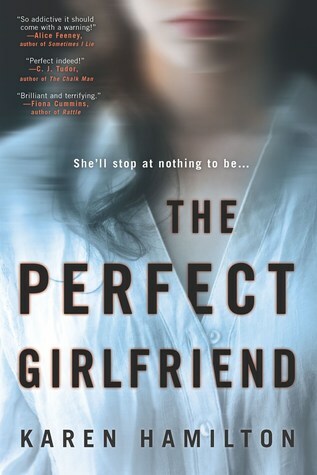 The Perfect Girlfriend by Karen Hamilton is a 2019 Graydon House publication. Six months ago, Nate broke things off with Juliette, and processed to move on with his life. Little does the handsome airline pilot know that Juliette has not accepted the break-up. In her mind they belong together, and she will go to any length to get him back- proving to Nate, once and for all, that she is the ‘perfect girlfriend’. Told from Juliette’s first- person perspective, the reader quickly becomes caught in her snare, unable to fully digest her cunning insanity. She pulls out all the stops-planning meticulously, beginning with her training to become a flight attendant, then acquiring a ‘best friend’ to make her look good, while keeping close tabs on Nate, at all times. The commentary from Juliette, is sinister, and shockingly calm, her attitude cold, and extremely unsettling. As the story continues along the inevitable collision course, there is a feeling of both anticipation and dread. I wondered if Nate would ever discover he had a stalker, what would happen when and if he finds out how utterly and completely off the rails Juliette really is- or if this is all just an exercise in futility for Juliette. I couldn’t see quite how this was all going to go down for her, but I knew it was going to be epic. I never could have anticipated just how devious Juliette really is, how manipulative, and utterly chilling her plans are for the unsuspecting Nate- or how absolutely determined she is to have him- until death do us part! This is certainly a compulsive read, and a cleverly constructed novel of suspense. One may even experience momentary lapses in judgment, as Juliette is a pro at manipulation- even managing to elicit sympathy from the reader on a few occasions, as she reveals very poignant and painful experiences in her past. However, one might want to remember that Juliette is hardly a reliable narrator. Another curious thought I kept having was how others might view Nate. I never could quite peg the guy. I couldn't trust Juliette, really, so I had questions, especially after the reader is finally introduced to him. Unfortunately, after a strong beginning, the middle dragged just a little. I’m not sure if I grew weary of Juliette’s constant planning and reorganizing when her plans didn’t go as she’d anticipated, or if her running obsessive monologue finally exhausted me, but it did lose momentum there for a time. But, don’t let the lull seduce you into complacency!! The conclusion rocked me back on my heels, with a stunning twist that literally sent a shiver down my spine! Overall, this was one wild ride. There was a little turbulence from time to time, but there was a smooth landing, making this a satisfying trip. Karen Hamilton caught the travel bug after an early childhood spent abroad (Angola, Malawi, Zimbabwe, Belgium and Italy) and having worked as cabin crew for a major airline. 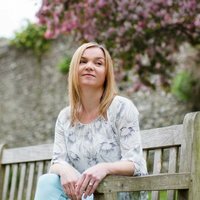 In 2006, she and her husband put down roots in Hampshire UK and four years ago, she later gave up flying to raise their three sons and concentrate on her writing. Great review! I have been wanting to read this!